Cross My Heart, I Love You Symbolizes, in a simple yet profound way, the magnitude of God's love for us. 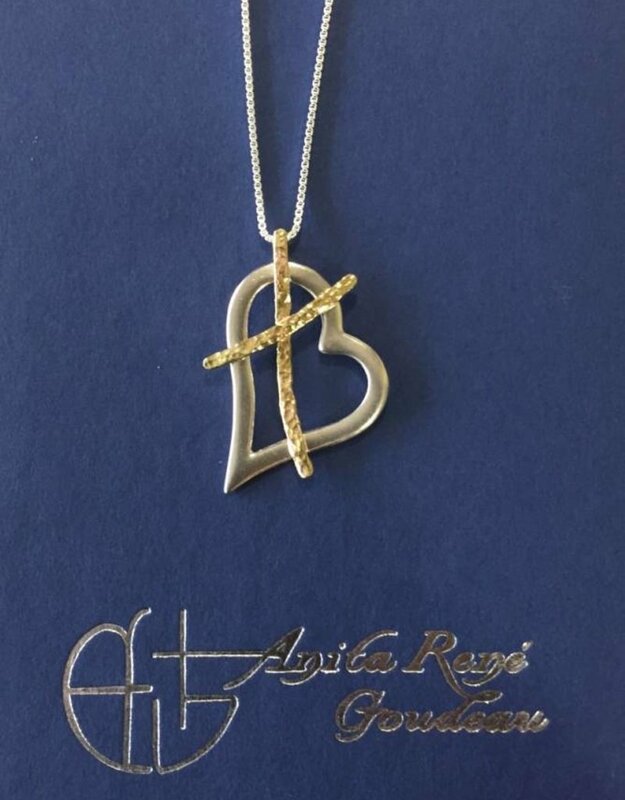 Inspired by thoughts of God's love and faithfulness to do what He says He will do, Anita fashioned this piece to represent the unfathomable love that God has for us...that He sent Jesus for the purpose of being the final and perfect atoning Sacrifice. When memories of her own mother's sacrifice and selfless love began to flood Anita's mind, she fashioned this piece to be a birthday gift for her mother. "As I thought about my mother and the sacrifices she had made raising six children, I began to receive an understanding of the love, sacrifice, and commitment of my heavenly Father." A child's promise of friendship, a parent's vow of devotion, a friend's pledge of love. 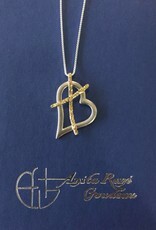 The Father's eternal commitment- Cross My Heart, I Love You is a powerful symbol of unconditional love.